Lisa Furgison, writing for BPlans.com, interviewed Tom Fallenstein, president and CEO of HalloweenCostumes.com, to hear the story of his Halloween-based family business. Here’s how it went. The Fallenstein family started making and renting a dozen Halloween costumes from their Minnesota garage, and the small business sparked a lot of interest in the little town of Mankato. Years later, the founders decided to take the business online and sell costumes. In just a decade, the seasonal business went from a few employees in a garage to 100 year-round employees and 1,000+ employees during the Halloween season. 1. How did your business grow from a small garage-based business into a business with 1,000+ seasonal employees? Moving from a garage-based business to an online e-commerce platform gave us exposure to customers beyond what we could do from a strictly brick and mortar retail location. Our online presence allows thousands of customers to shop on HalloweenCostumes.com at any given time. We’ve also taken a small business approach to just about everything, in that we try to be both highly innovative and efficient. We sell costumes as though we were selling them to ourselves, and we love what we do. I believe this has a positive impact on our business and sets us apart from our competitors. 2. How do you engage with customers when you’re an online-based business? One of our biggest challenges as an online-based business is to continually grow our audience while maintaining a very personal experience for our customers. We actively suggest and promote communicating with us through the customer’s preferred method. We have hundreds of knowledgeable employees who are waiting to hear from customers. It’s not uncommon for a customer service representative to continue chatting with customers about a show, a movie, or a superhero long after the transaction is complete. If a customer doesn’t interact with an actual person, we have a “thank you” video displayed on the site after they checkout that gives a brief glimpse into who we are as a company. Our business is unique in that we don’t just market our products — we fully interact with them in fun and creative ways. You can see examples of this in our blog content which focuses heavily on DIY costume projects, and our YouTube videos that provide fun and useful information like makeup tutorials. 3. 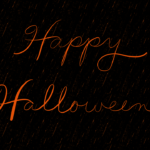 What struggles do you face as a business that focuses on Halloween? 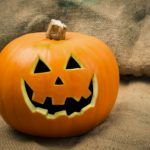 The seasonality of a Halloween business presents a few challenges, particularly when it comes to labor. HalloweenCostumes.com is located in North Mankato, Minnesota with a surrounding population of about 55,000. 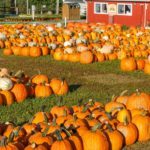 Finding and retaining seasonal staff during the month of October can be difficult. We’ve overcome some of these challenges by partnering with local TV and radio stations for employment advertising, as well as simplifying our hiring and training process to get people on the job quickly. 4. What’s your hottest Halloween costume? Why do you think it’s so popular? Movies always play a big role in determining which costumes will be popular, and Disney’s “Frozen” has definitely taken the lead as the hottest costume theme in 2014. This year there will be plenty of adults and children alike dressed as Elsa, Anna, and Olaf the Snowman. Also, “Teenage Mutant Ninja Turtles,” “Guardians of the Galaxy” and “Maleficent” have inspired some of the top costume ideas this year. Every year has its fair share of emulating pop culture icons and events; this year is no different. 2014 has seen costume ideas inspired by Apple’s bendable iPhone 6 gaffe, Beyoncé/Nicki Minaj/Iggy Azalea performances and even the outbreak of Ebola (something we strategically did not promote). 5. What apps or software do you rely on to do business? Our team of talented in-house programmers keeps the HalloweenCostumes.com website and mobile site running smoothly throughout the year, but we’ve also utilized third-party technologies to ensure we’re reaching and engaging our customers. For example, in addition to our website, we sell our products on Amazon, eBay, and through our affiliate programs. We’ve worked hard to grow our brand by creating unique and exciting content on our blog, which we share on social media channels like Facebook, Twitter, YouTube, Instagram, Google+, and others. 6. What two specific pieces of advice do you have for anyone thinking about starting a holiday-specific business? Find ways to diversify your business if at all possible. In addition to HalloweenCostumes.com, we also operate Fun.com, Shirts.com, and several smaller costume sites to ensure we maximize our sales stamina throughout the year. Invest in and engage your employees. We’ve put a lot of time and effort into ensuring our company is a unique and fun place to work. We feel that our inviting and tight-knit culture builds loyalty throughout the year, so we can push hard as a team during our most challenging and exciting time, Halloween season. Survey of the Day: How Do You Celebrate Halloween?